Here at South Coast Bi-Folds, we want you to get the most out of our products, and although window cleaning isn’t the most exciting job in the world, it can make a world of difference to your overall experience. The summer is officially upon us now, and the smears and marks on your glass will be even more noticeable with the gleaming sunlight. 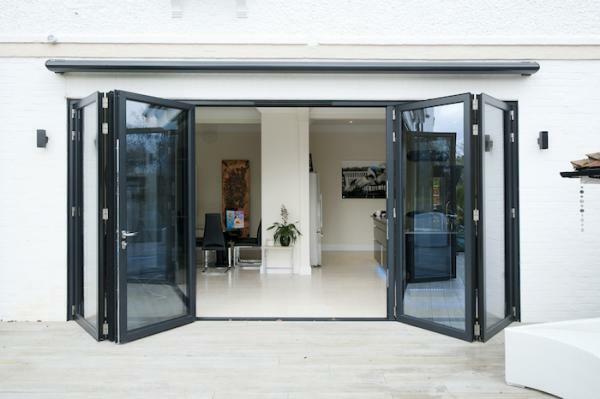 So, take a look at our tips below and let us help you spruce up your bi-folding doors to the shiniest they can be! It’s important to consider what’s in the water we use to clean with, as that has an overall effect on the glass. It never normally matters, but on glass you can see absolutely everything so water content can make a massive difference. If you’re diluting your glass cleaner, consider using distilled water. It doesn’t have all the minerals in the that can be present from your tap, meaning it is less likely to leave streaky deposits. Vinegar is absolutely essential to everyone’s kitchen for many reasons. Not only does it cost practically nothing, it can also have major effects when used for cleaning. Use vinegar 50/50 with a water solution and it will work wonders. The smell of vinegar may be around for a short while, but you will have streak-free glass in no time. The less soap, the better. The more suds you use to clean your glass the harder it is to get rid of any excess streaks. Try to keep liquids to a minimum, and use the right solutions to compensate for the amount of liquid. The wrong cloth or paper towel will only leave streaks and could also miss dirt on the glass. The best materials and cloths to use would be either microfiber, squeegee, or best yet, a handful of newspaper. Using a chamois or microfibre cloth, buffer in small circles for the best results. Even if you abide by the tips above, you may still have streaks, so this is the opportunity to make sure they are all cleaned off. It also adds extra sparkle and finesse to the glass, meaning you can enjoy the summer sun even more than usual!